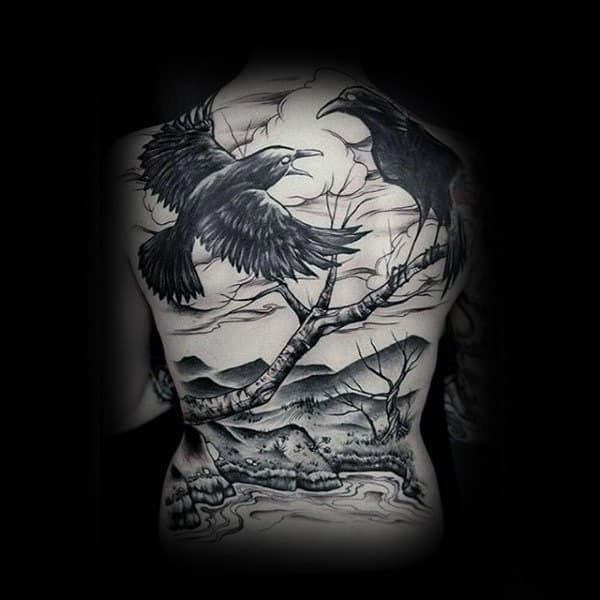 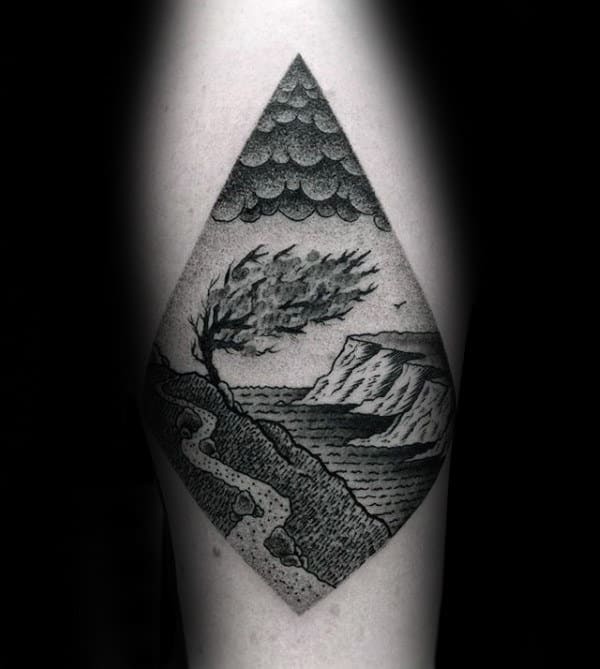 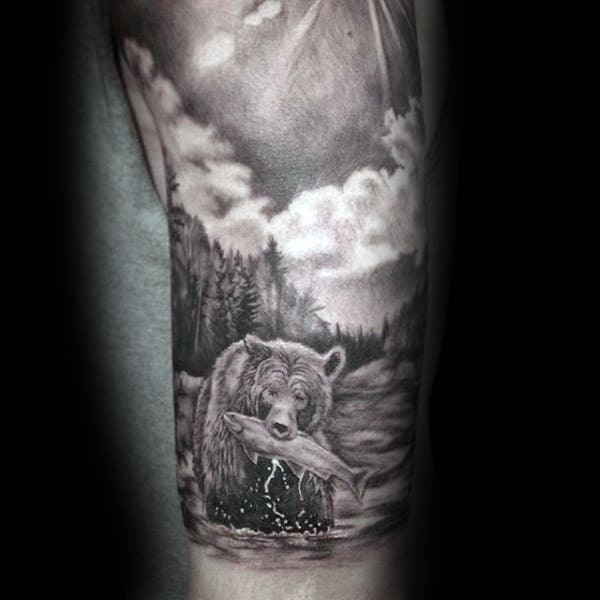 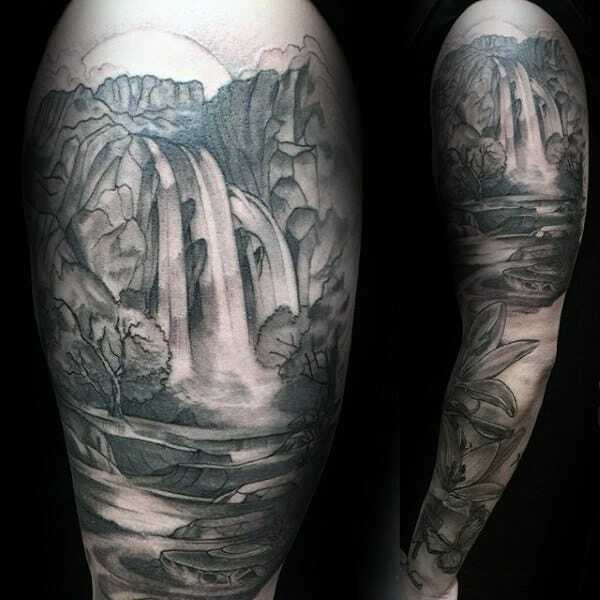 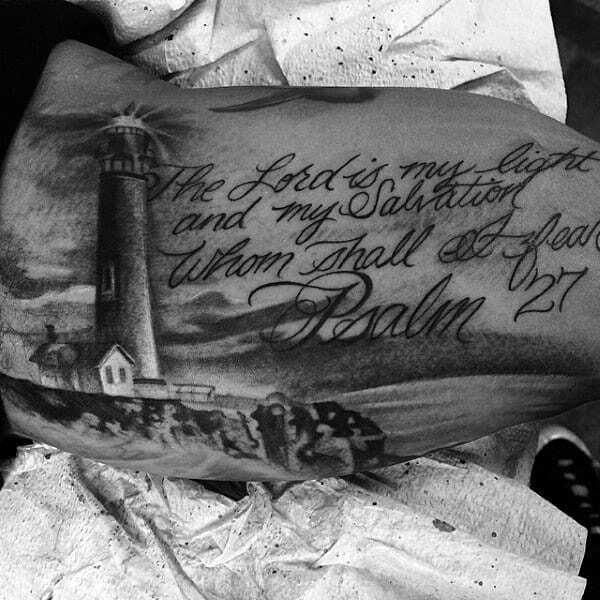 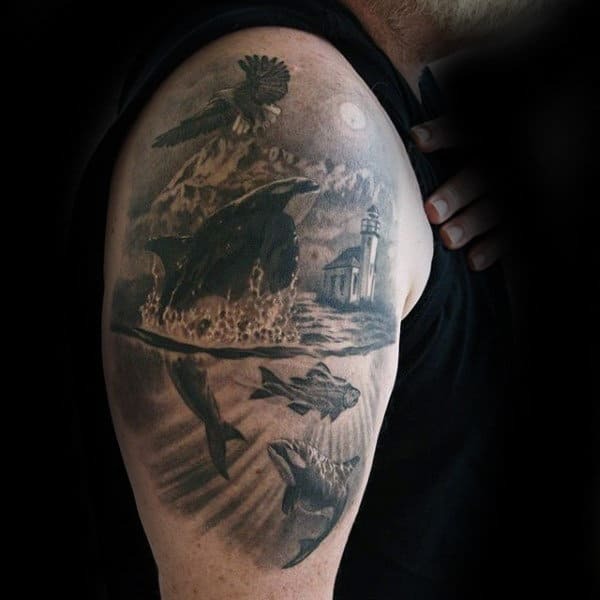 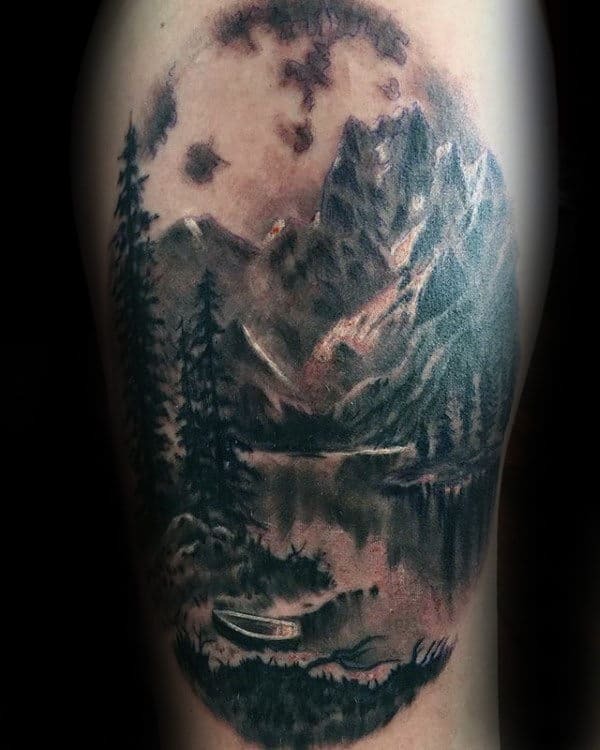 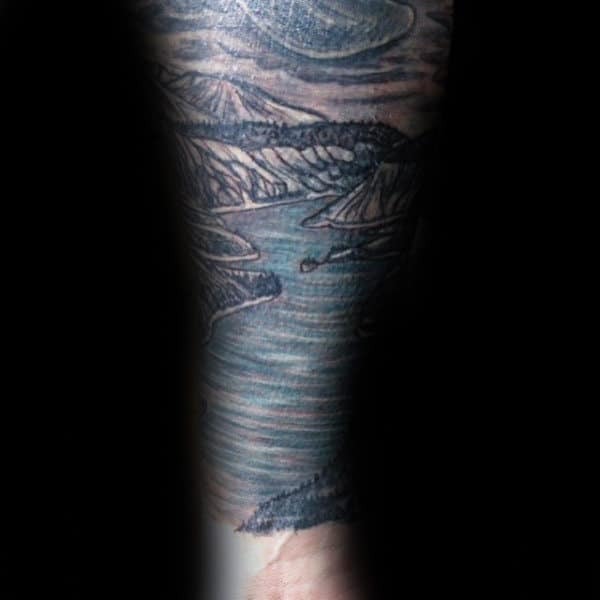 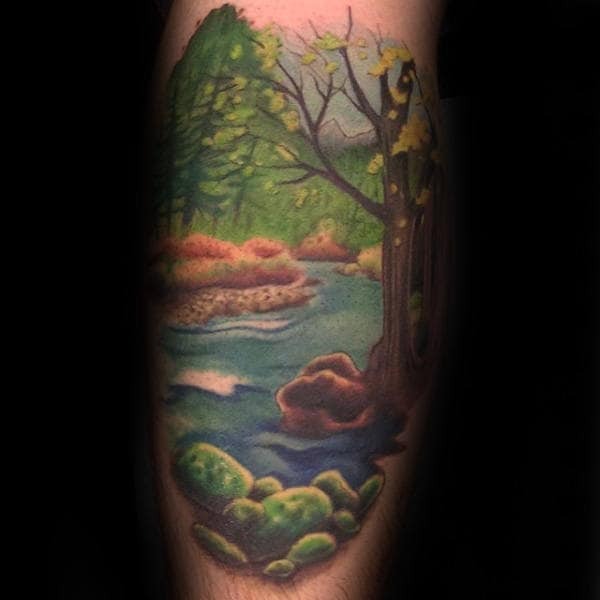 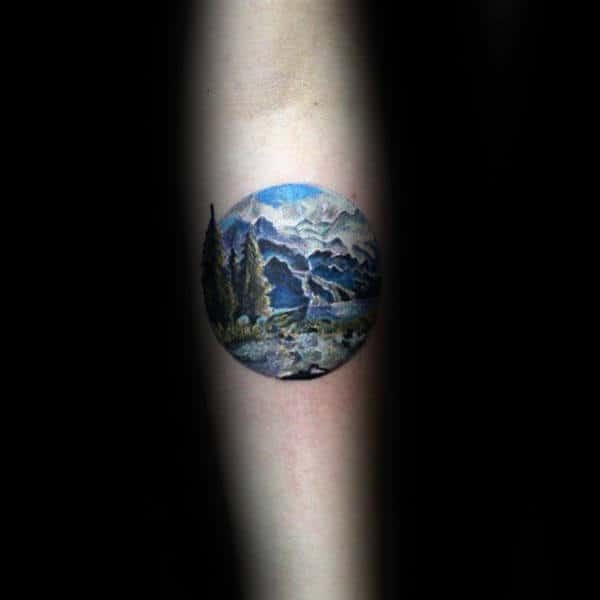 An enlightened artistic attitude can be serenely acquired with a lively landscape tattoo. 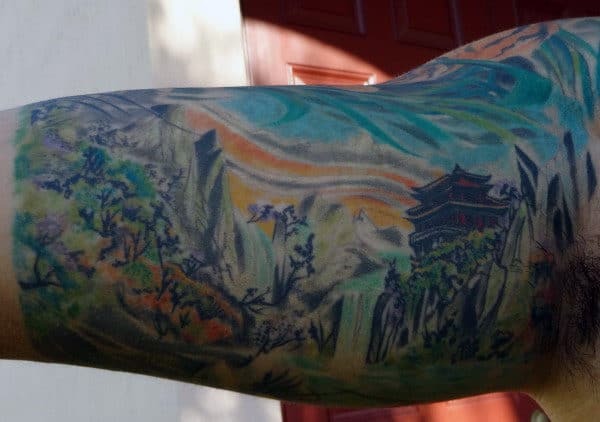 Visceral environmental depictions are truly top-notch among ink aficionados. 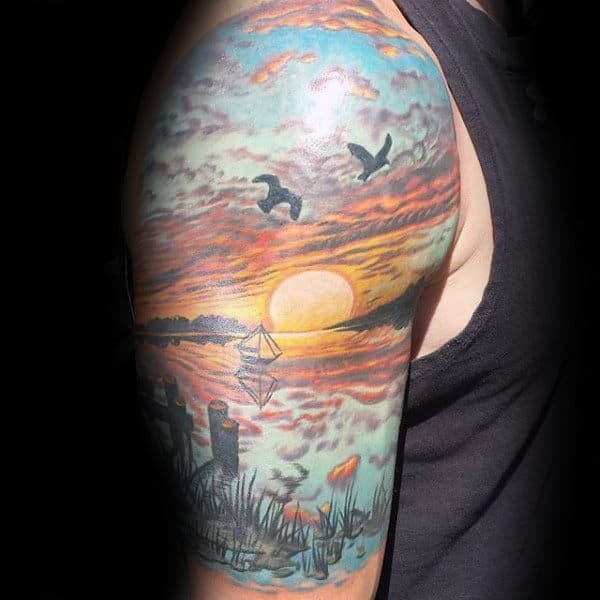 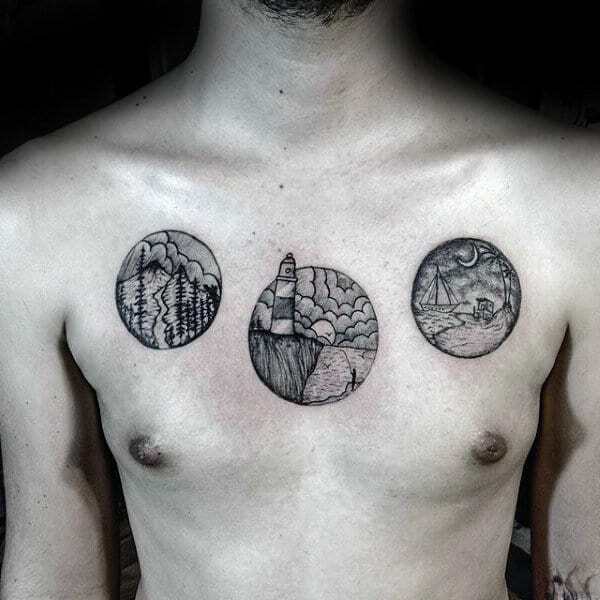 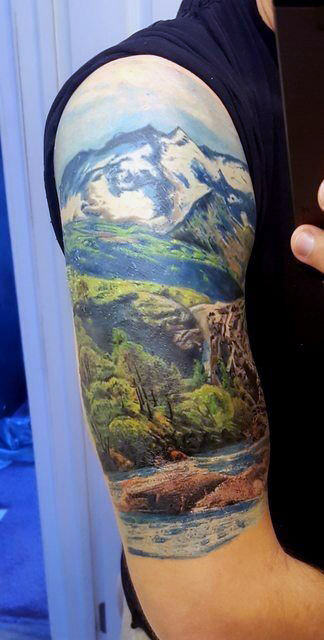 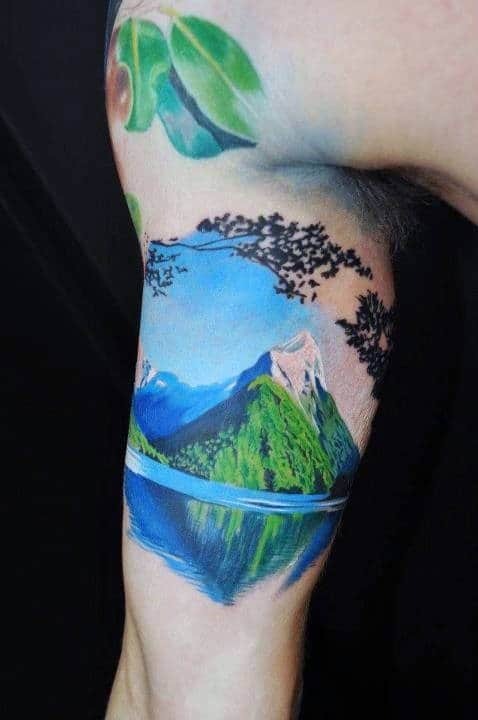 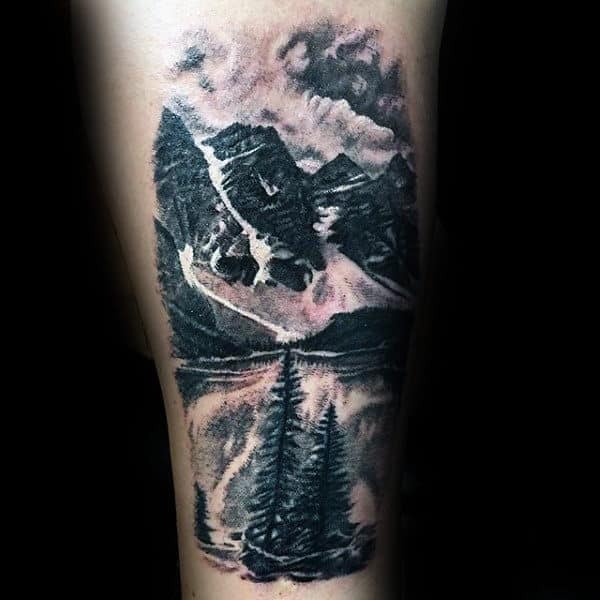 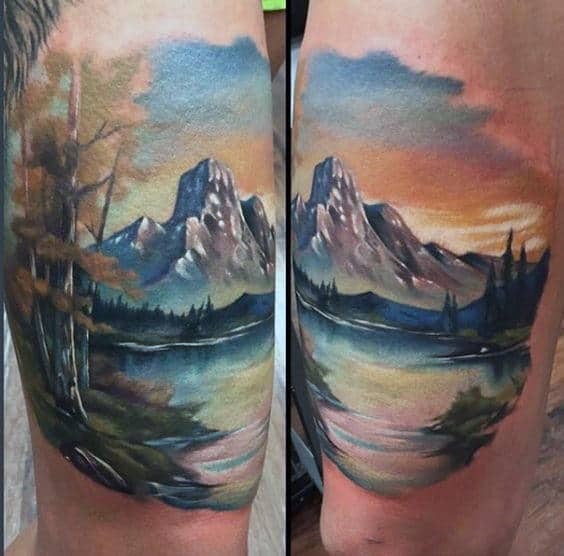 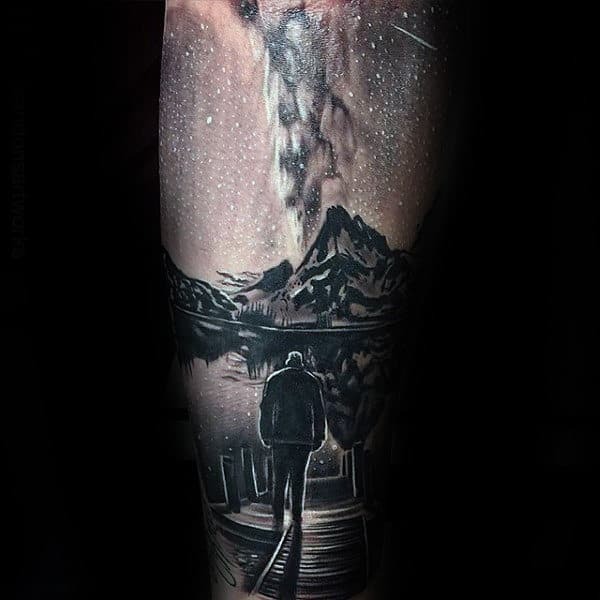 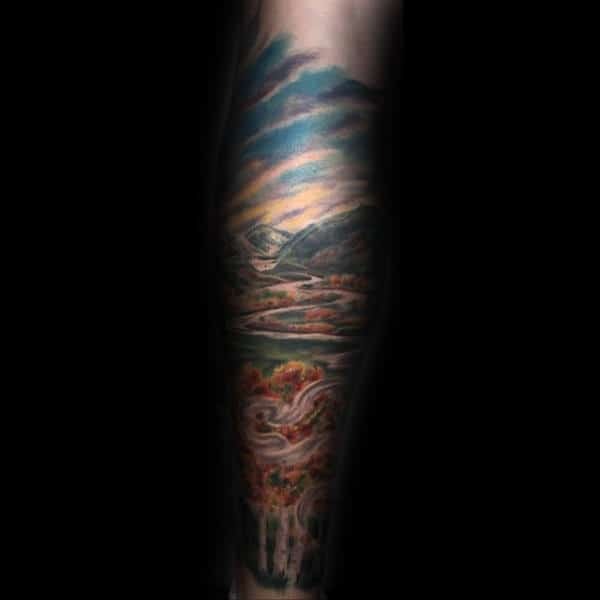 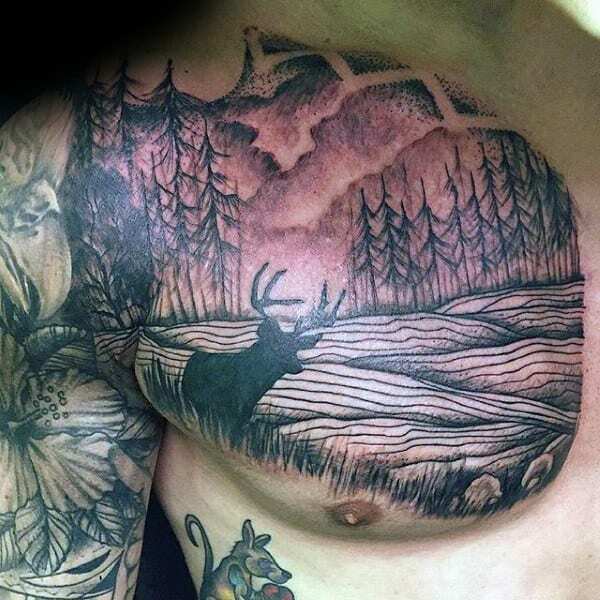 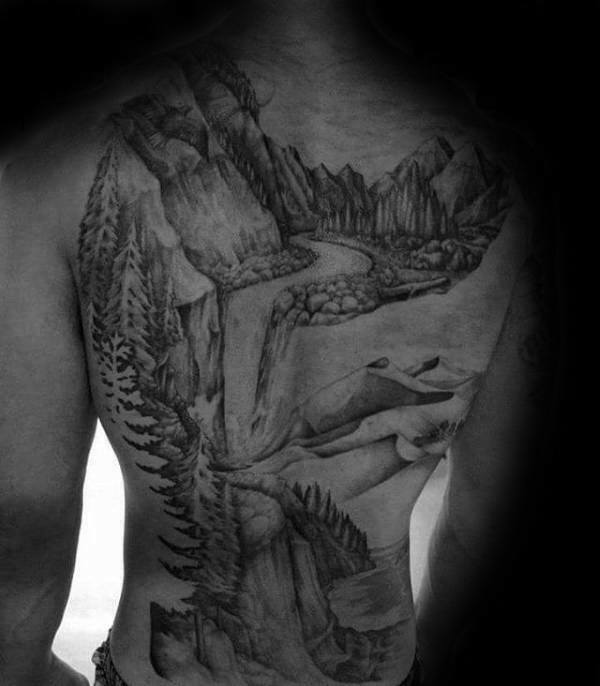 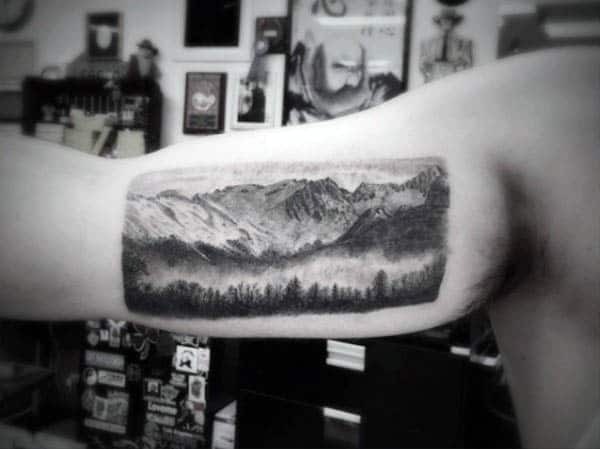 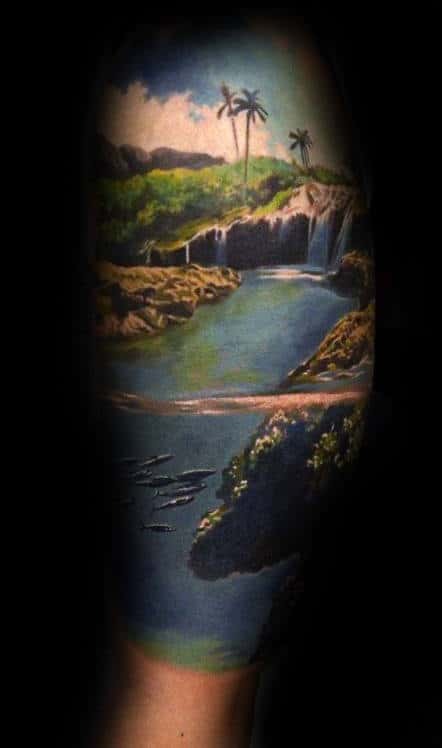 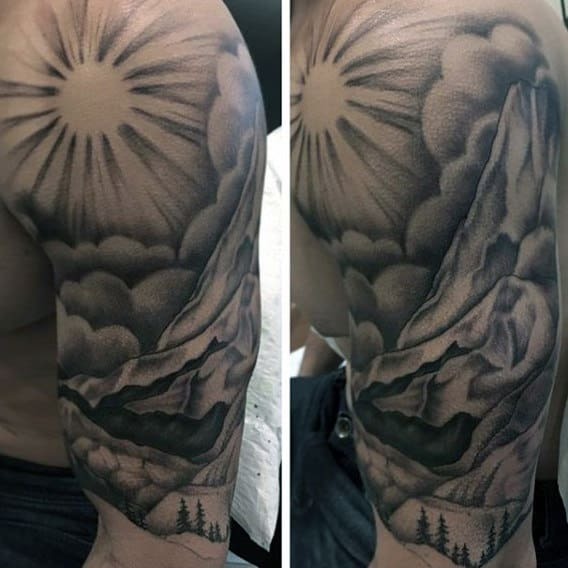 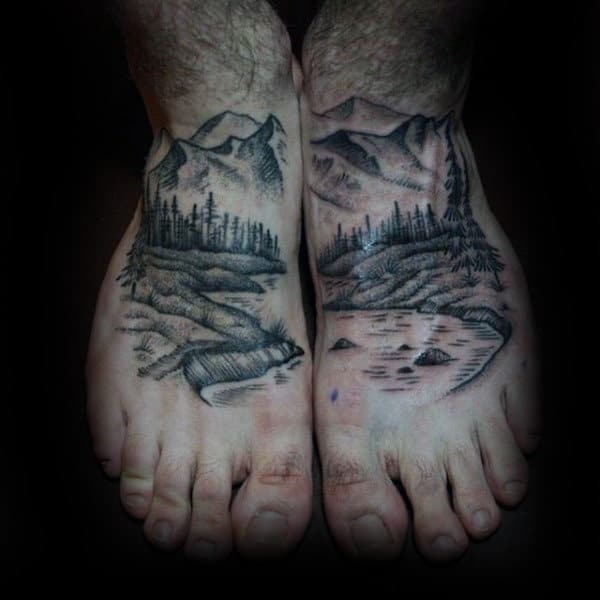 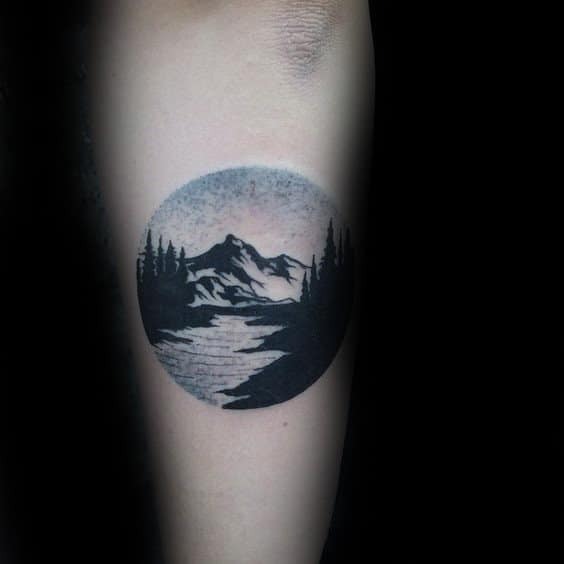 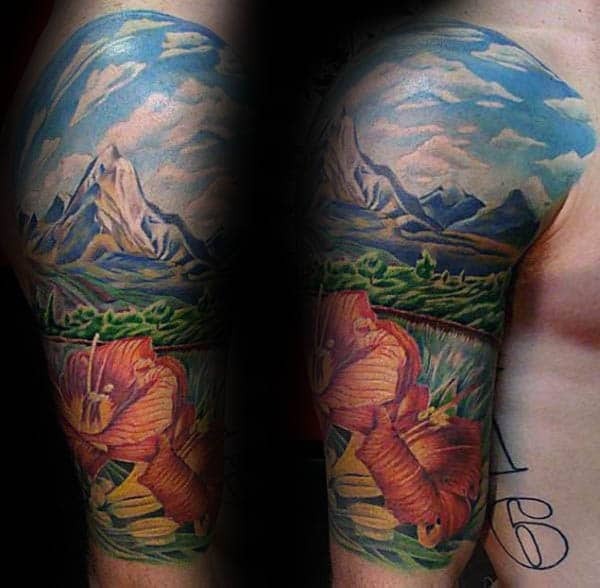 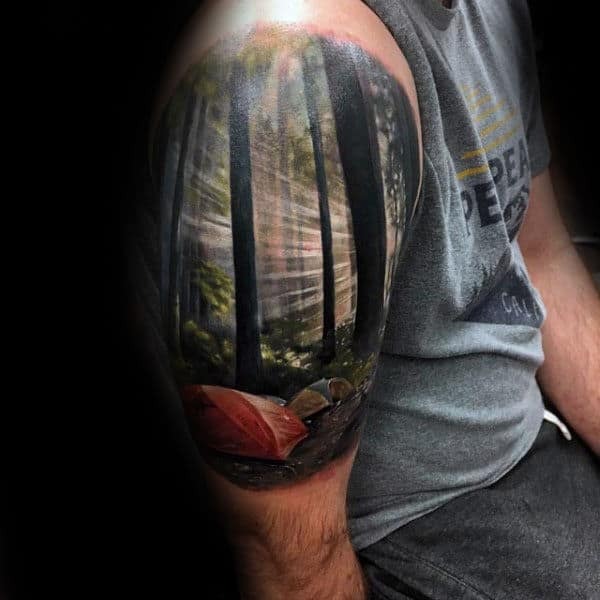 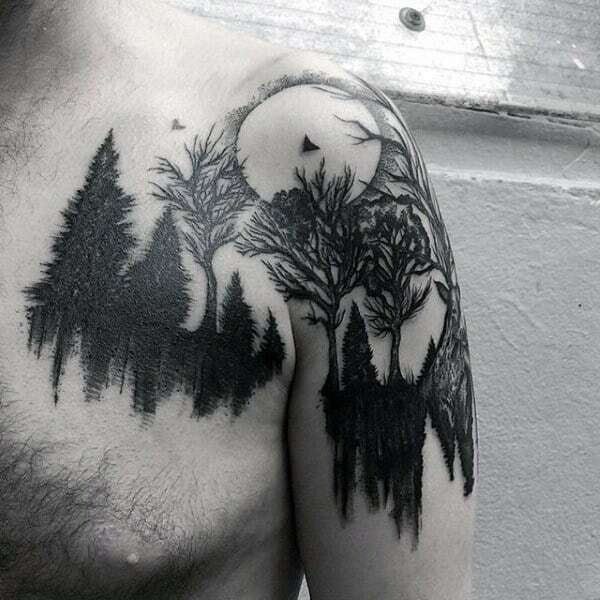 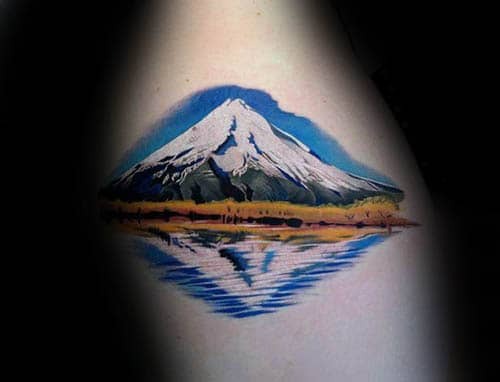 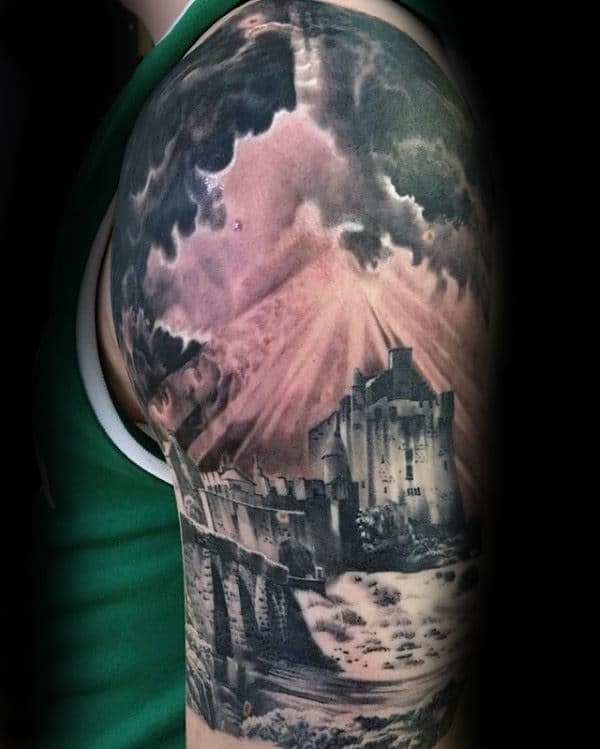 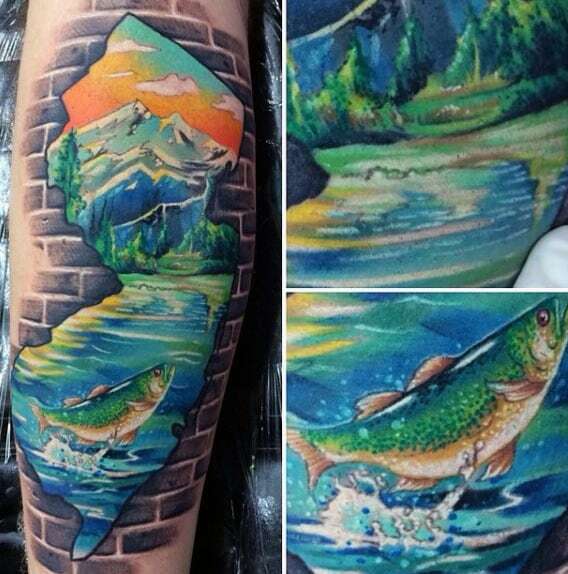 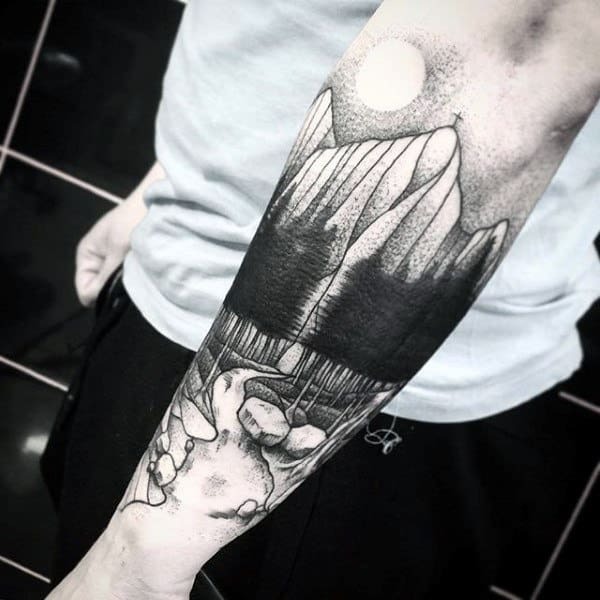 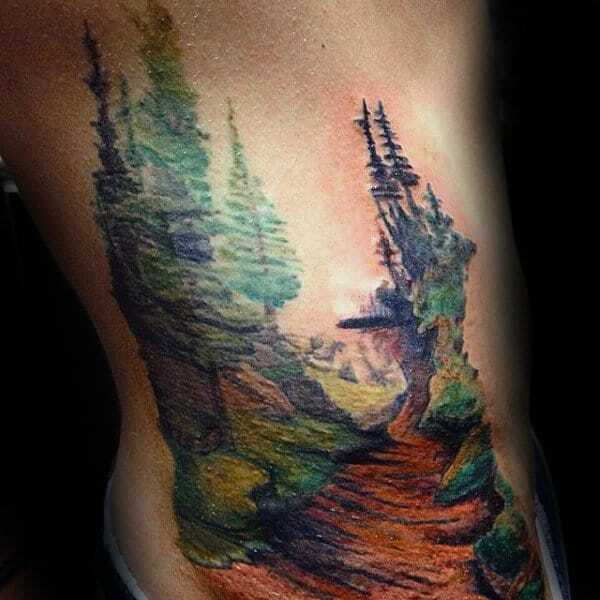 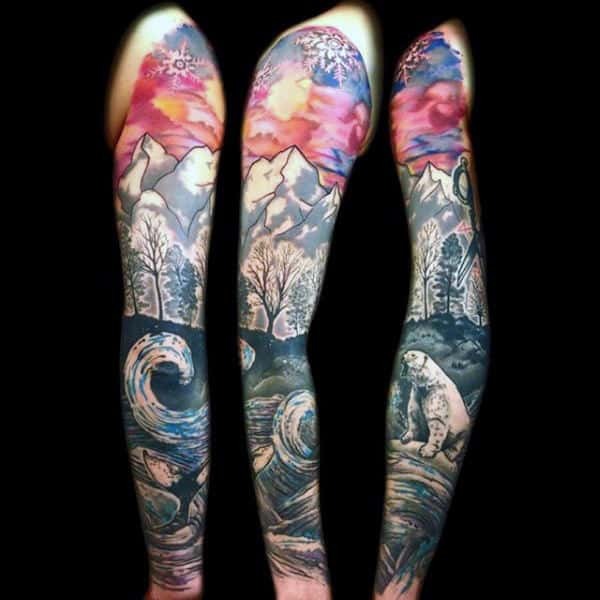 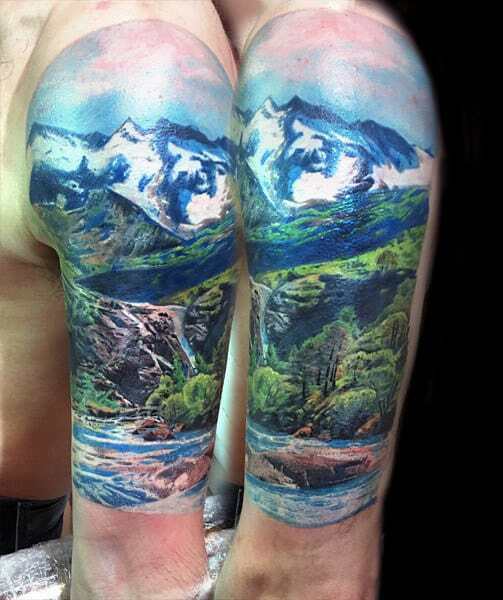 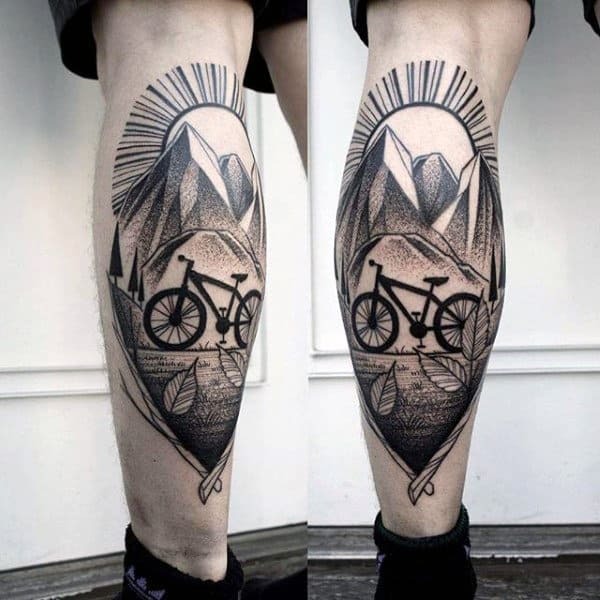 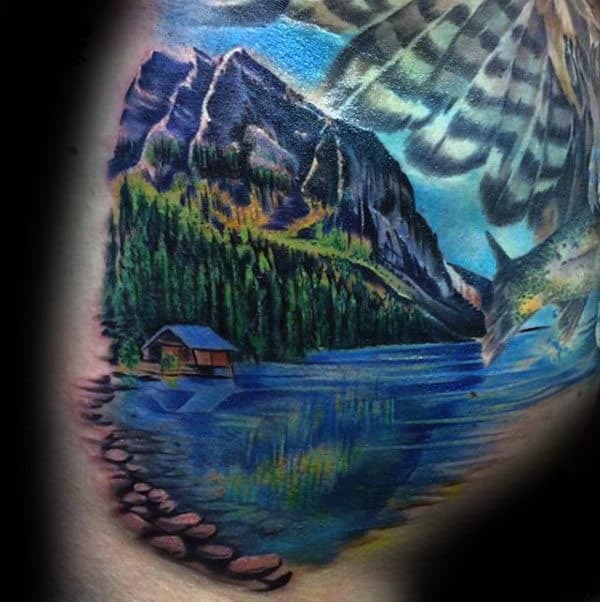 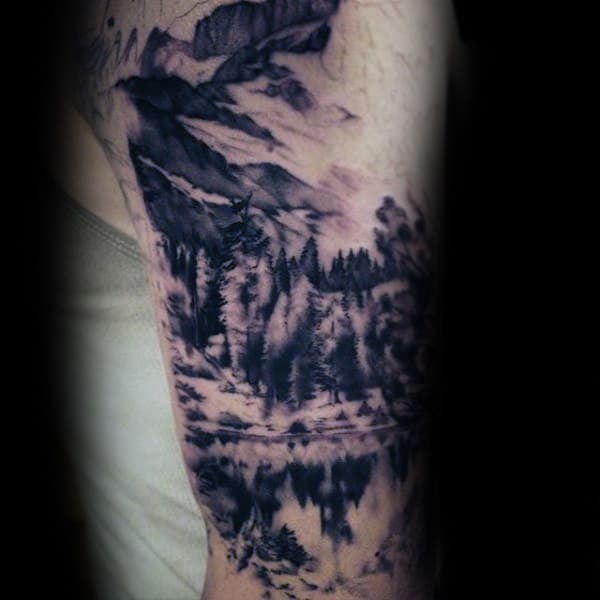 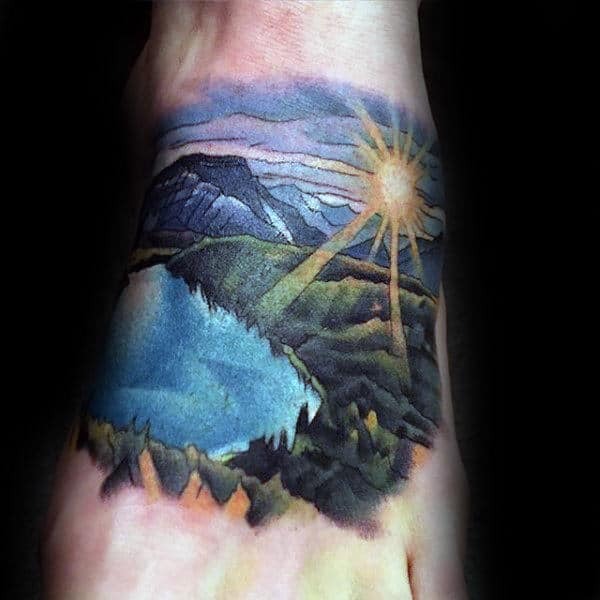 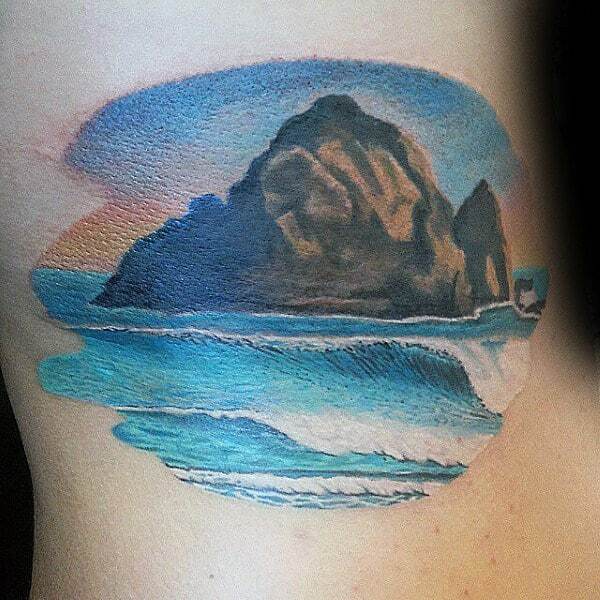 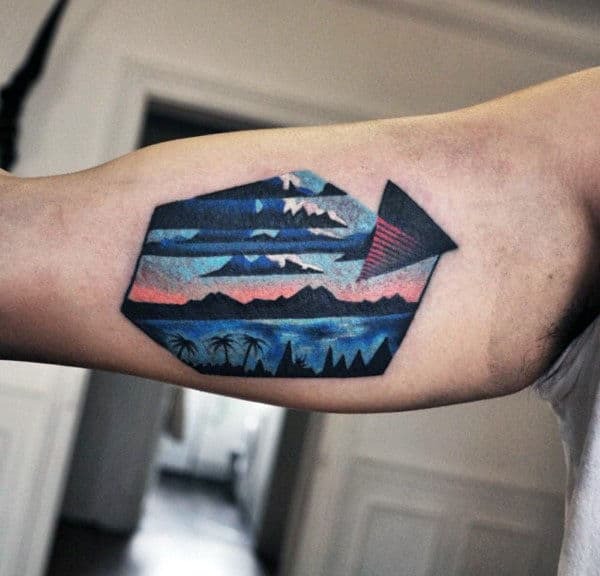 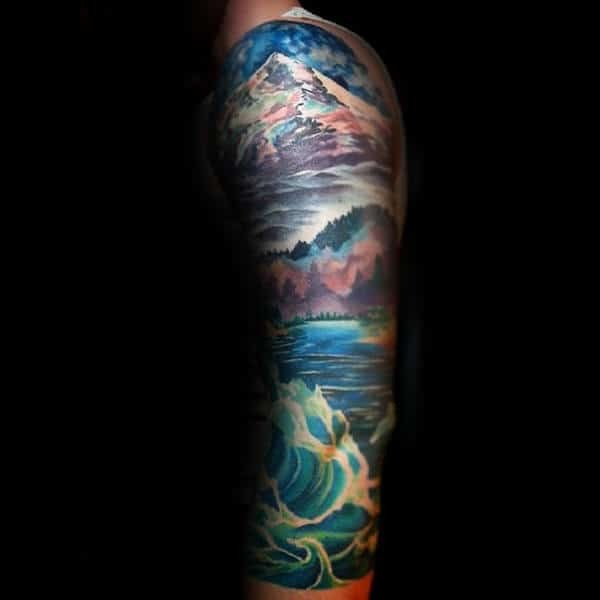 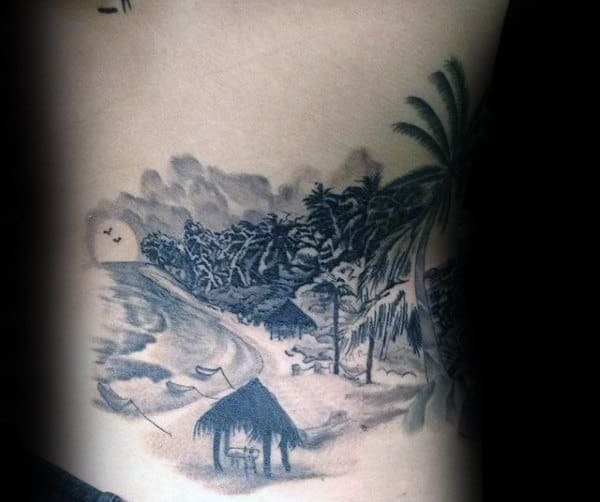 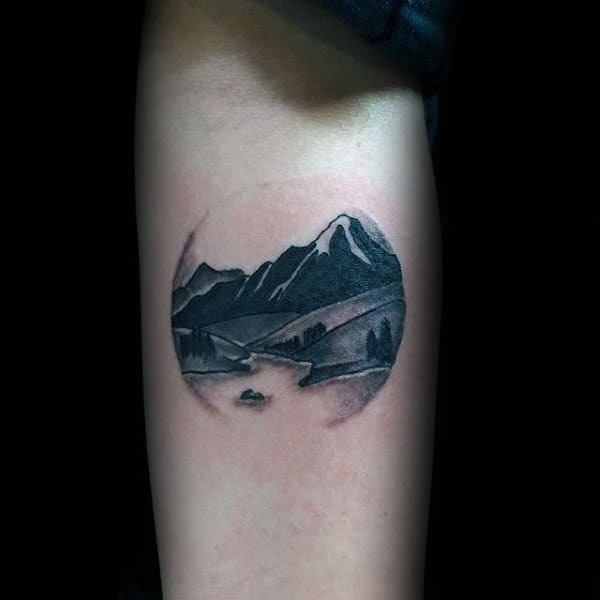 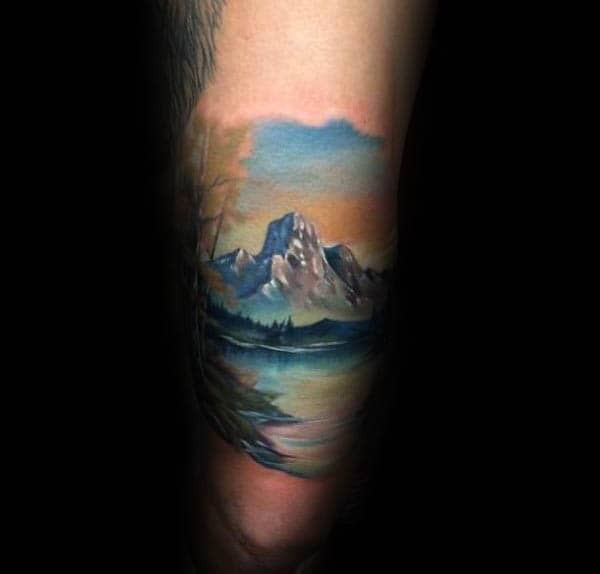 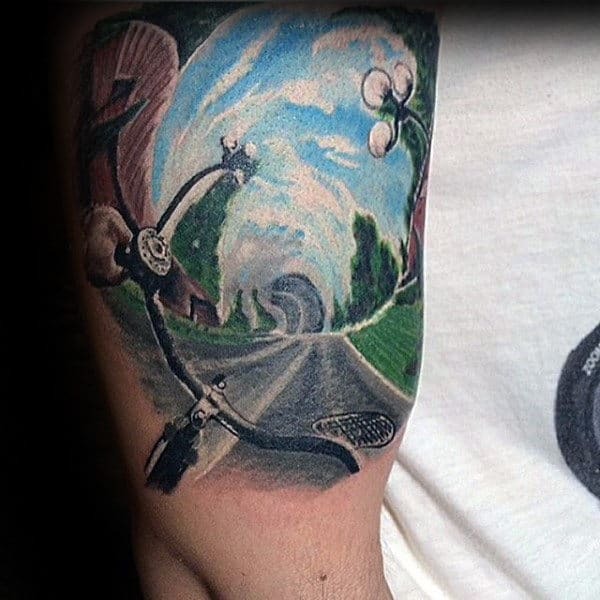 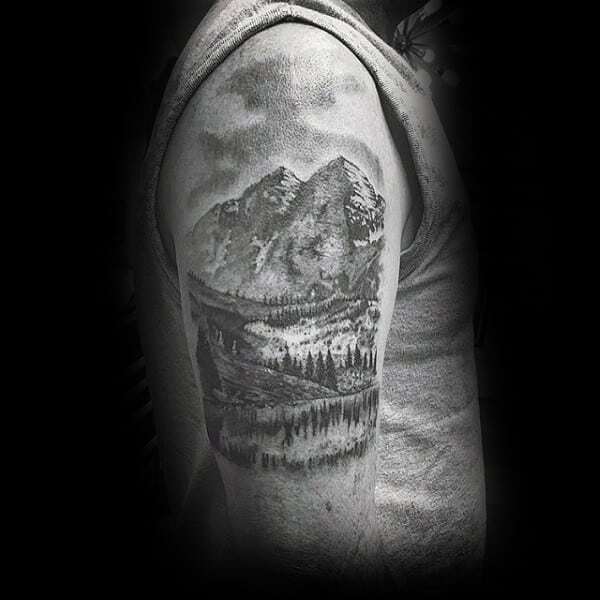 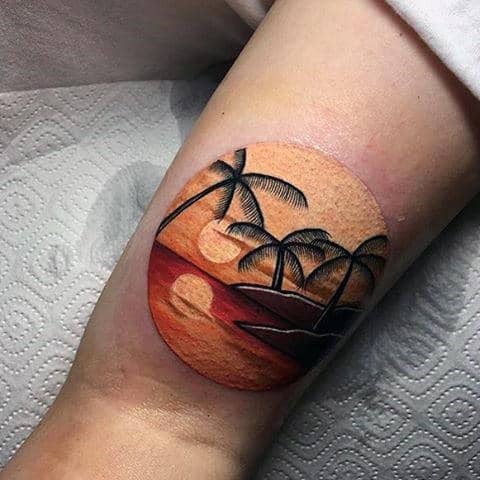 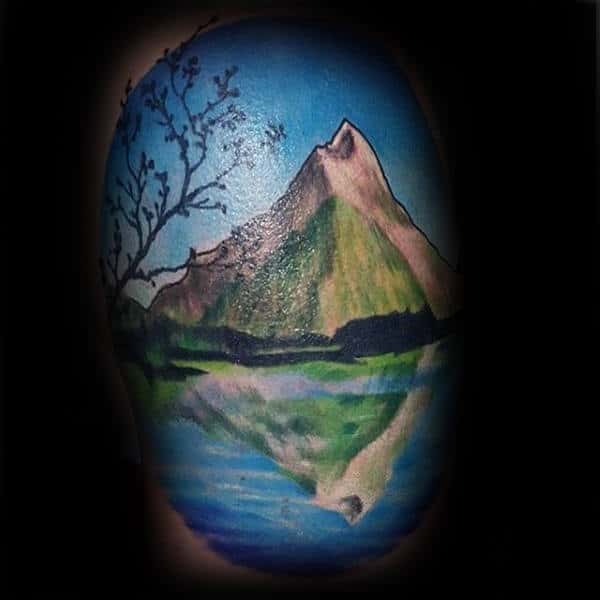 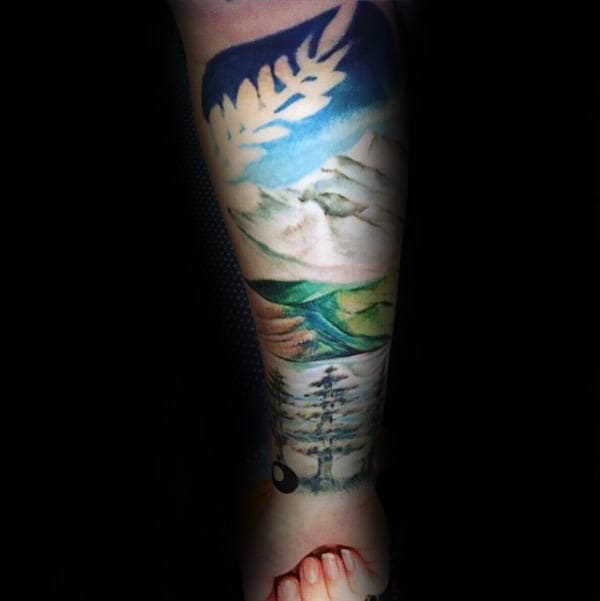 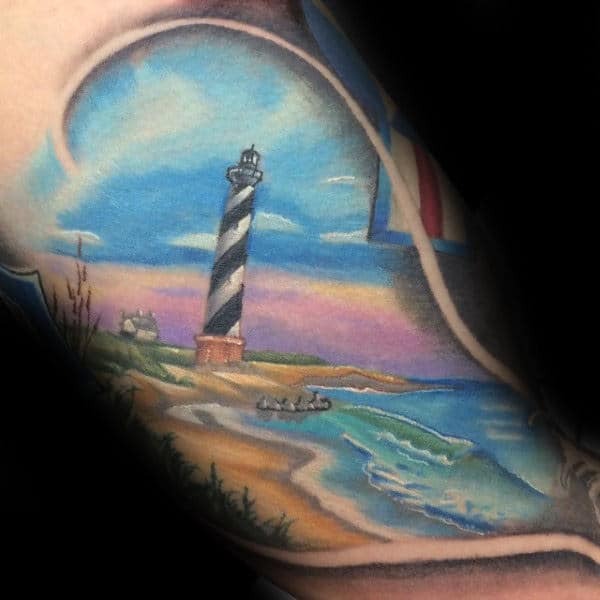 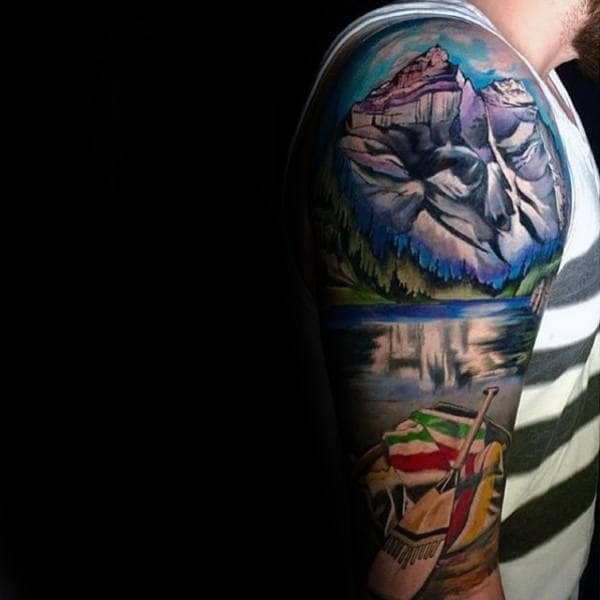 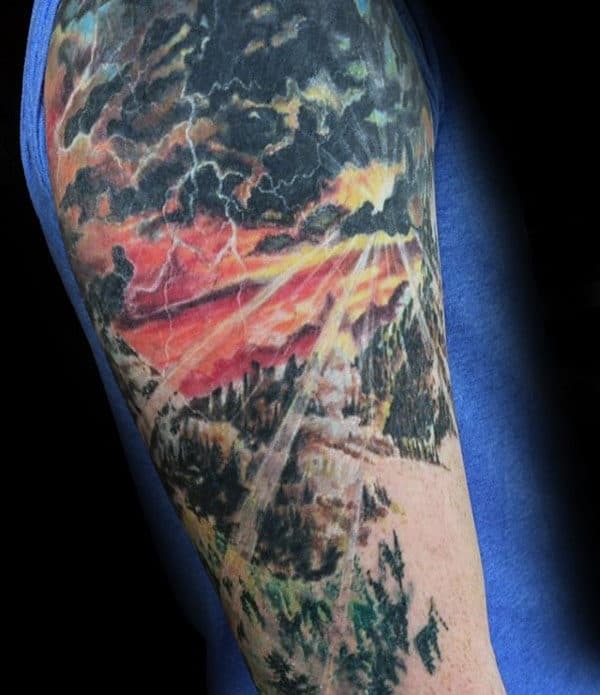 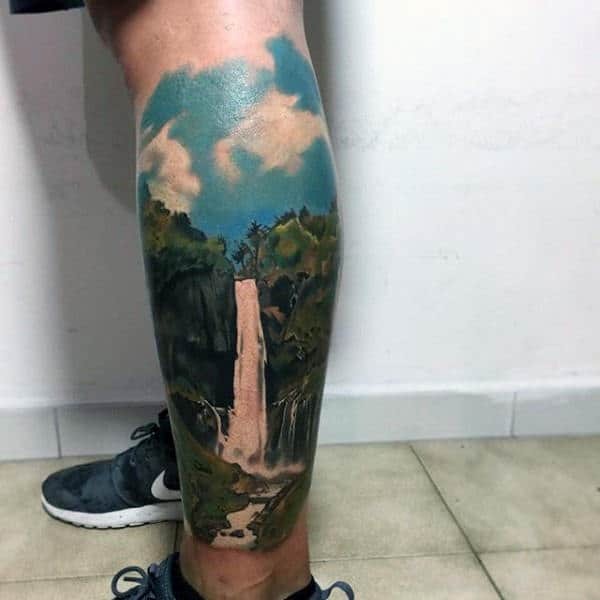 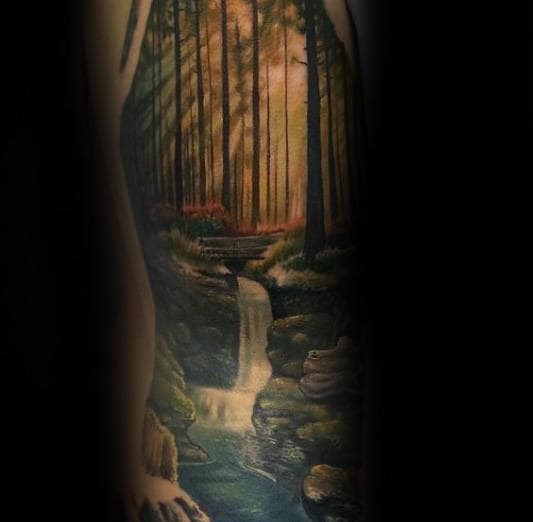 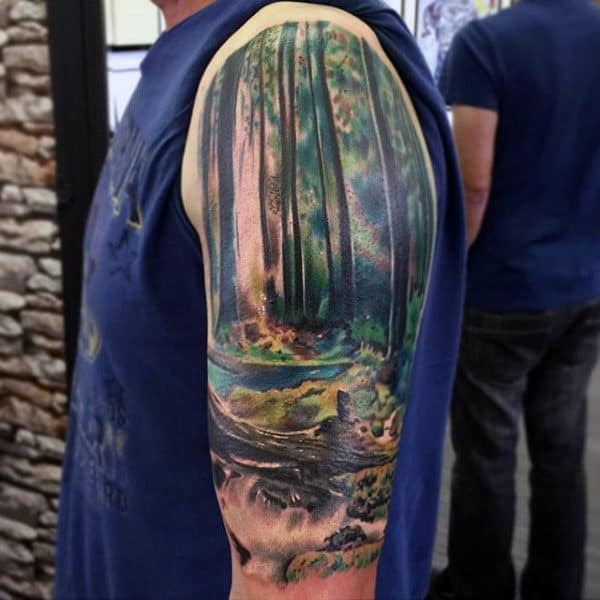 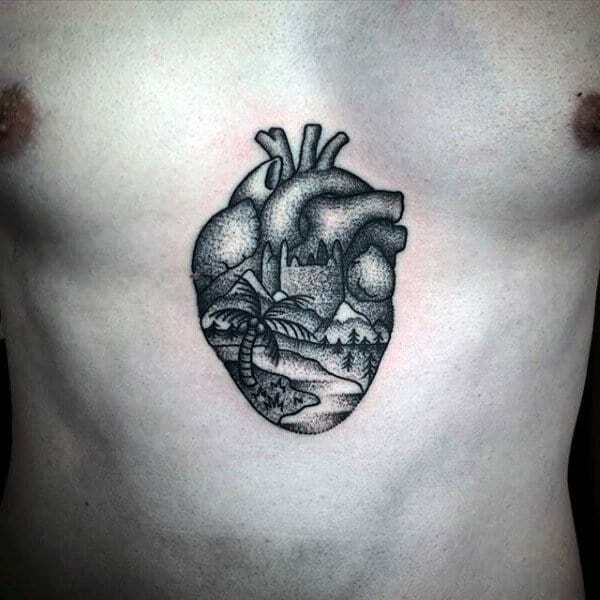 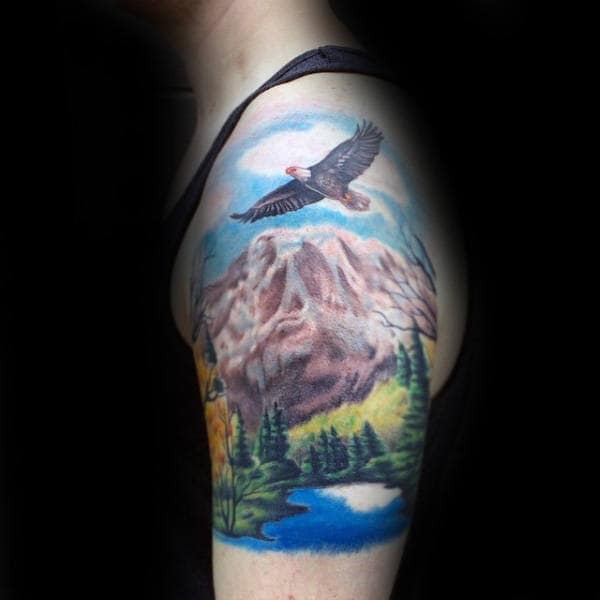 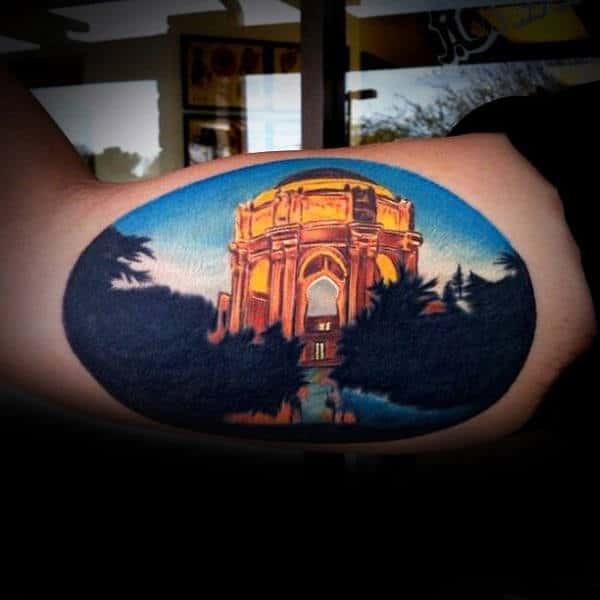 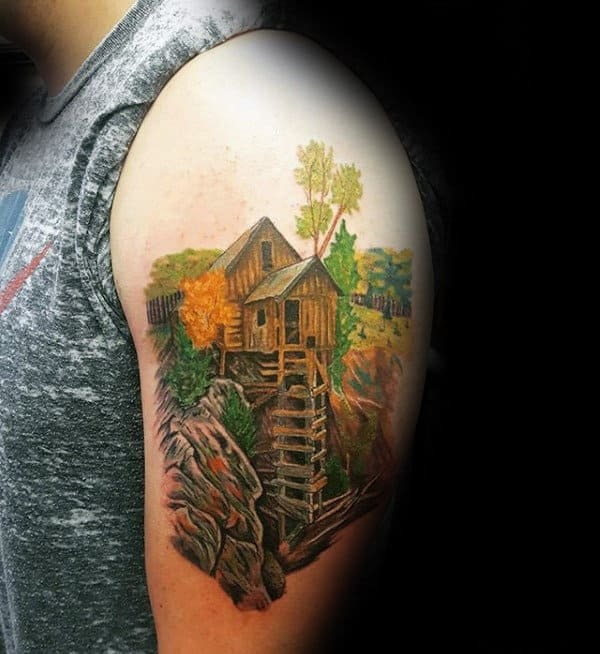 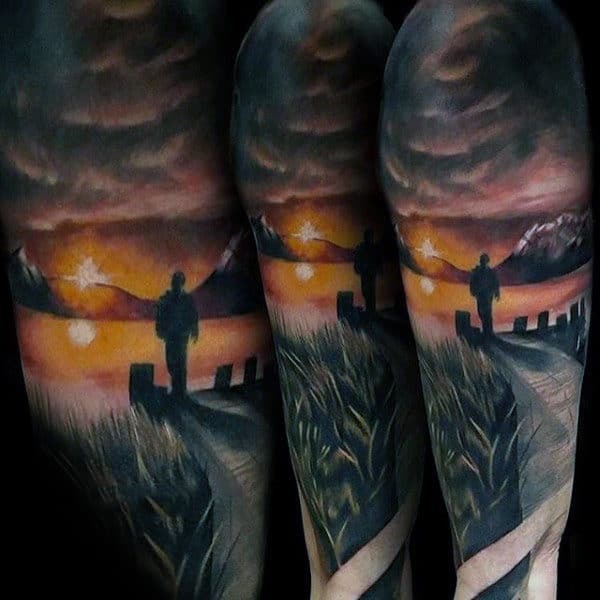 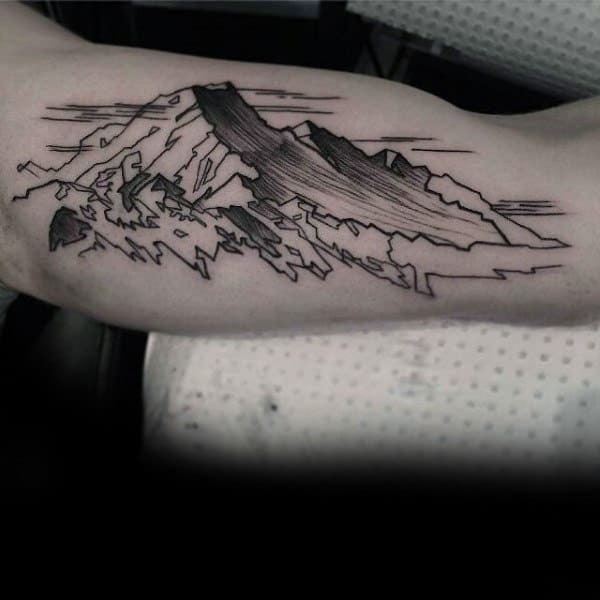 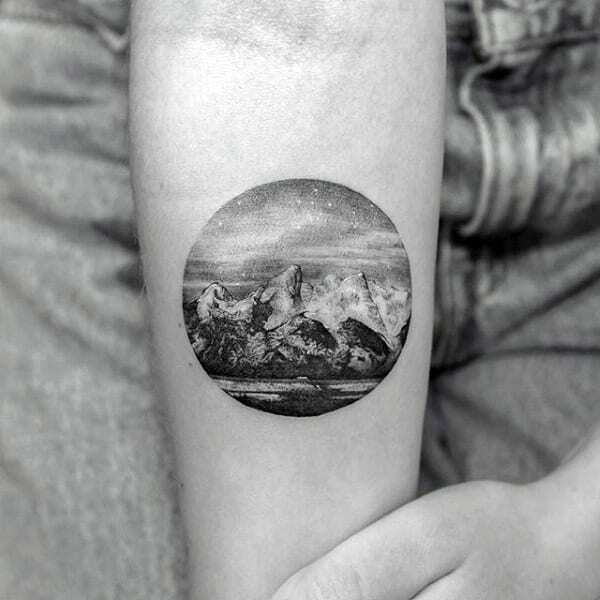 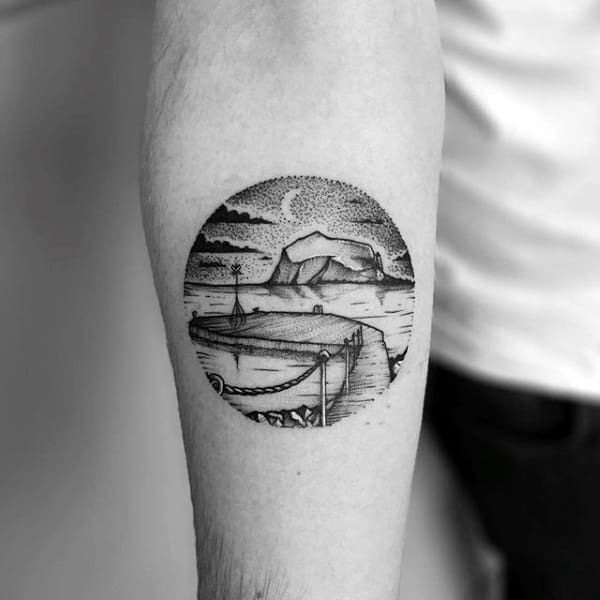 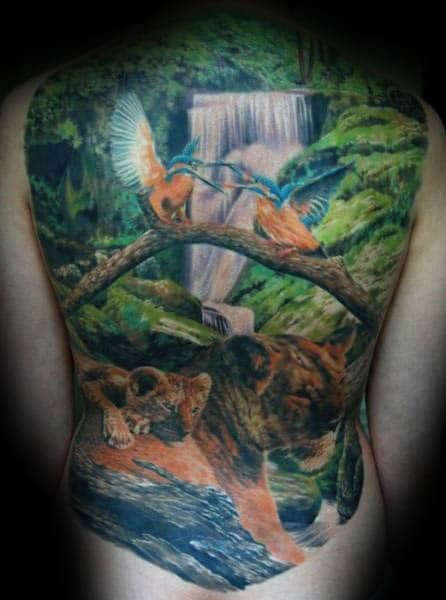 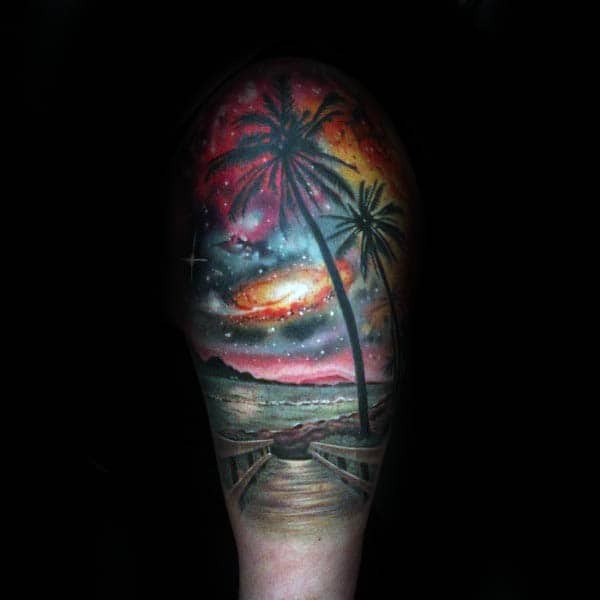 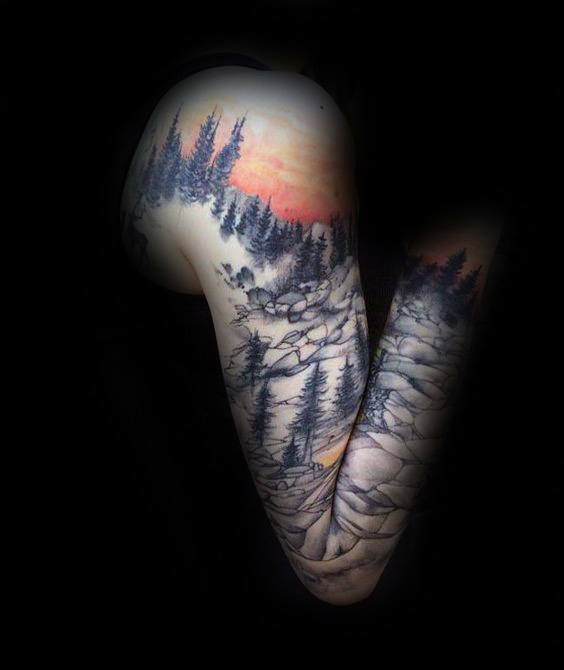 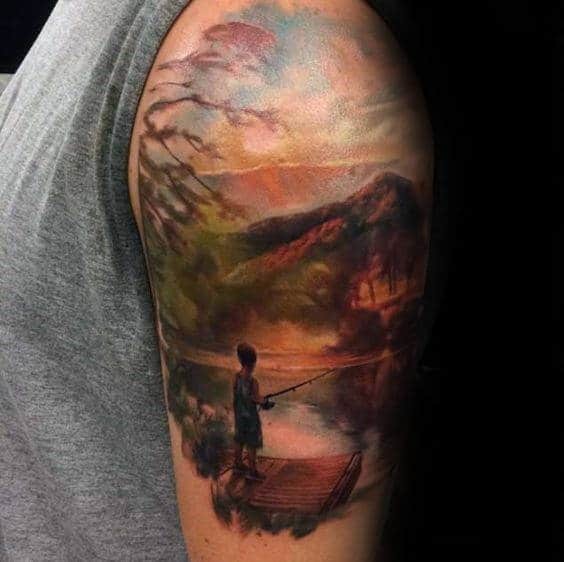 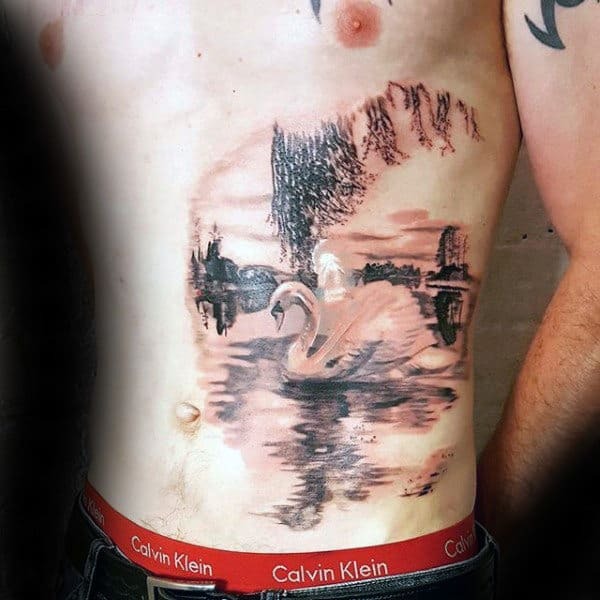 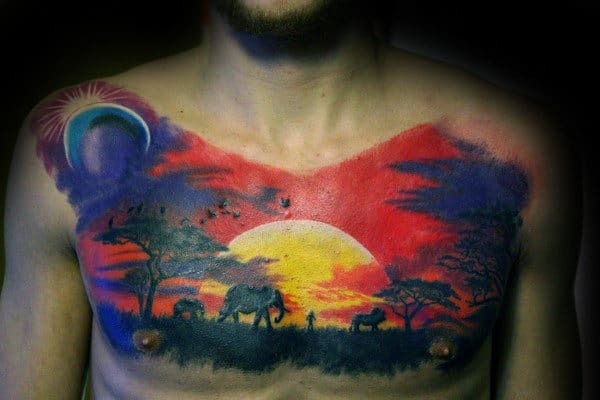 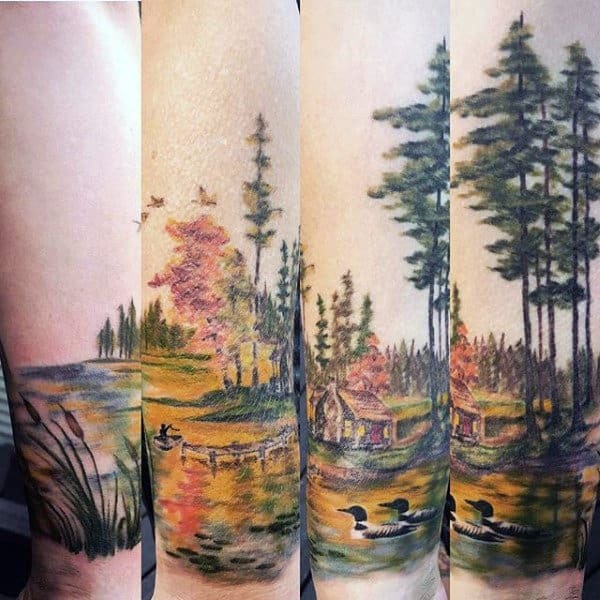 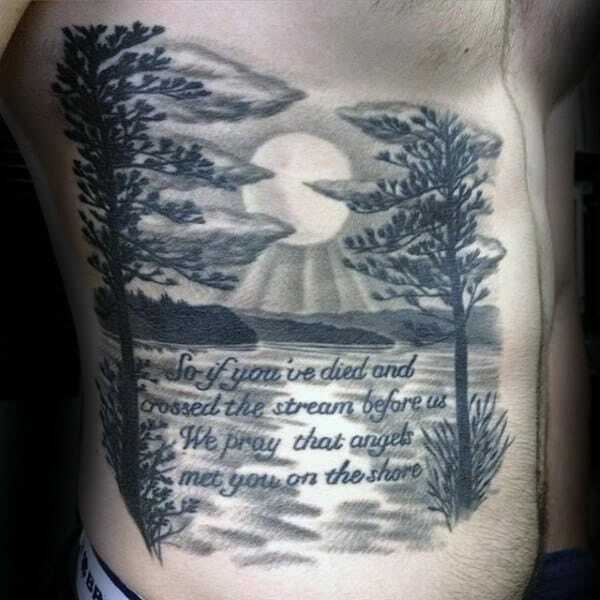 Scenic landscape tattoos are taking over the world by storm. 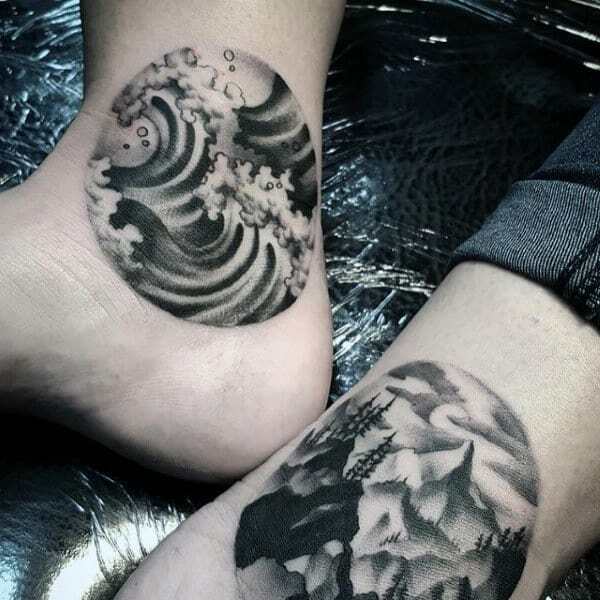 These in-depth masterpieces are being enabled by today’s refined inking technology. 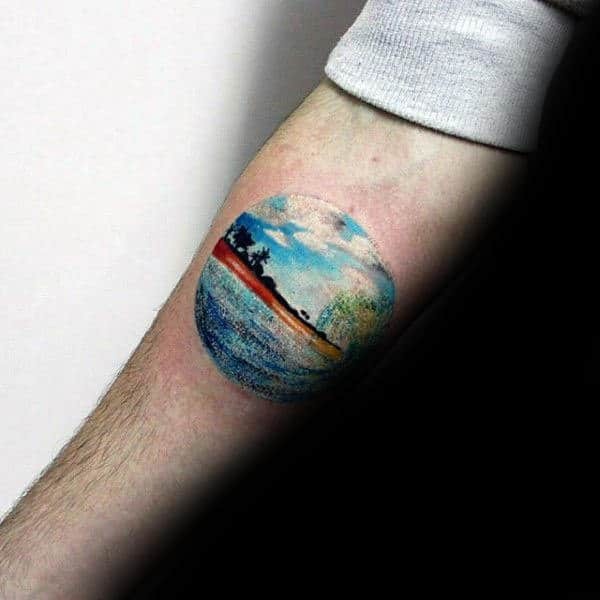 Thanks to modern upgrades in the tattoo industry, realistic paintings are being unearthed using skin as the canvas. 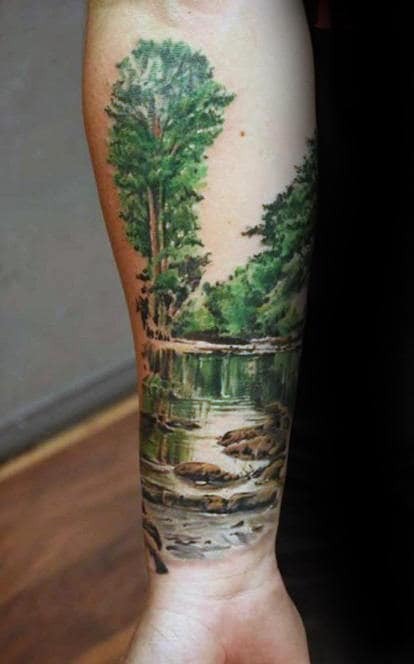 Nature’s beatific surroundings already make enlightened tattoos, but the inception of faux craftsmanship adds an ingenious layer of meta bliss. 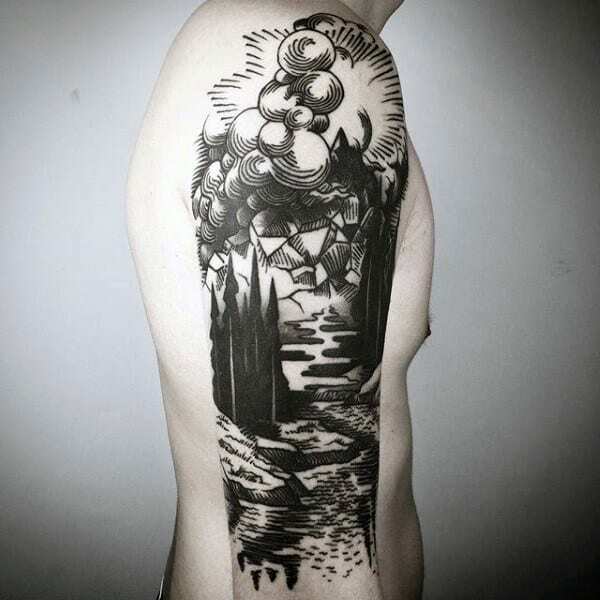 These sophisticated illustrations will harmonize your ink with mankind’s most notorious artistic masters. 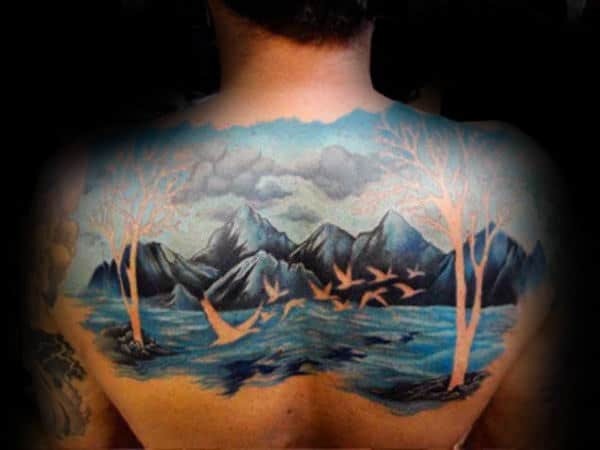 Both Eastern and Western mentalities can be exuded within your elegant extravaganza. 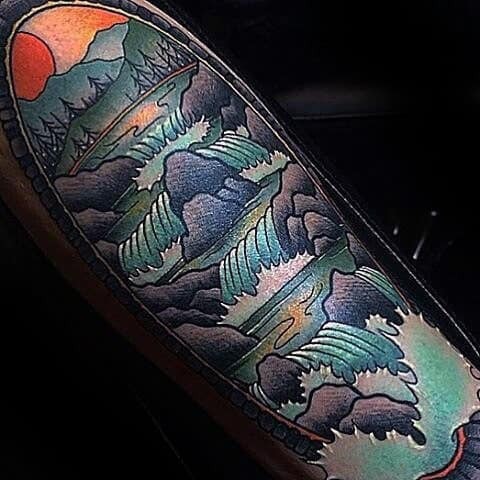 The most renowned landscape tattoos hail from the medieval era, but pieces from the present day are giving them a run for their money. 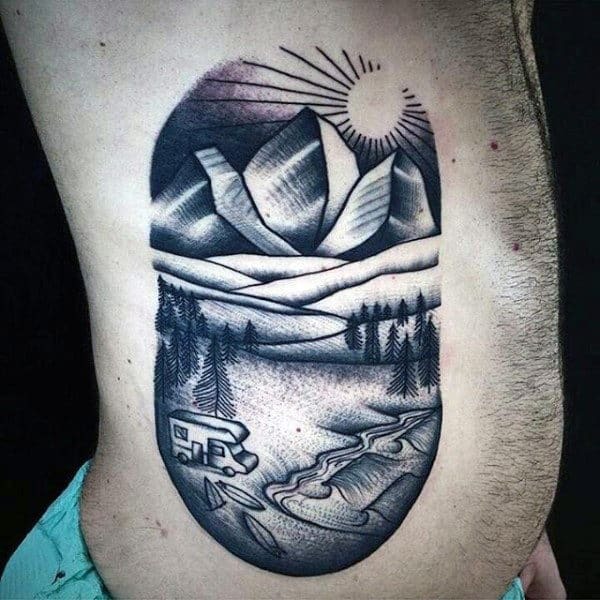 Keep in mind that you will need plenty of room to successfully pull off one of these daring designs, especially if you wish to capture the transcendental awesomeness of a monumental expanse. 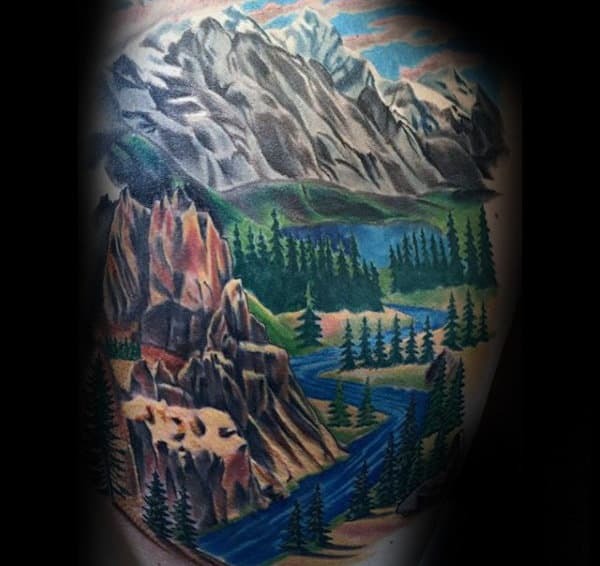 With an astute approach, all of the world’s elements can be featured by thoroughly demonstrating the diversity contained in wilderness. 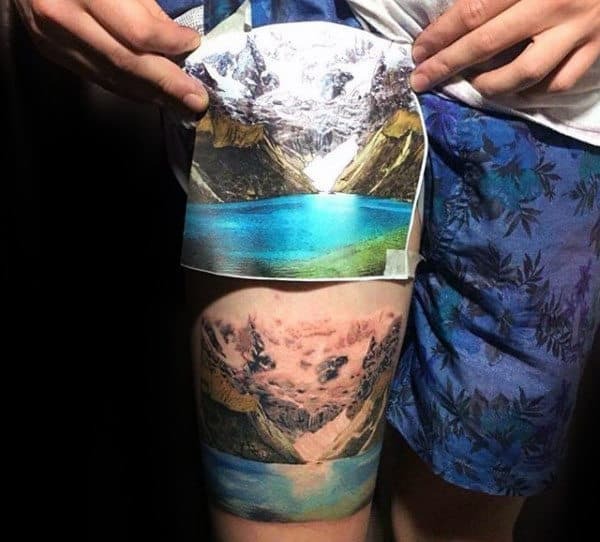 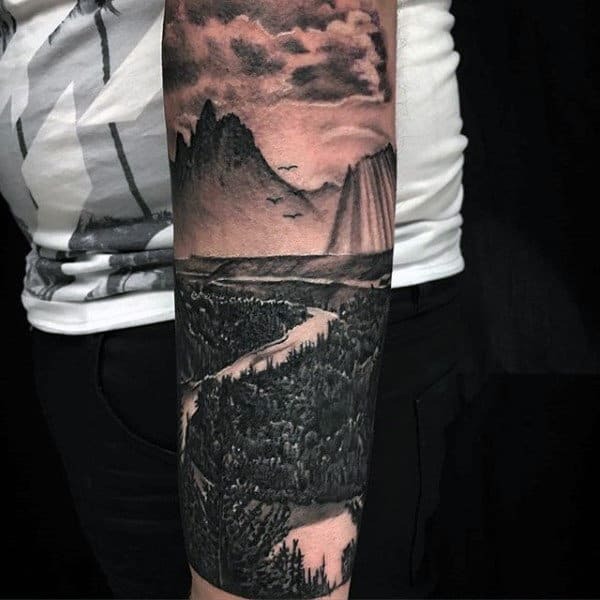 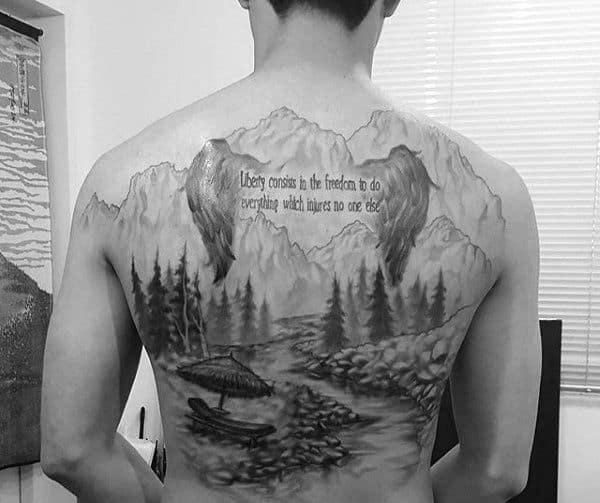 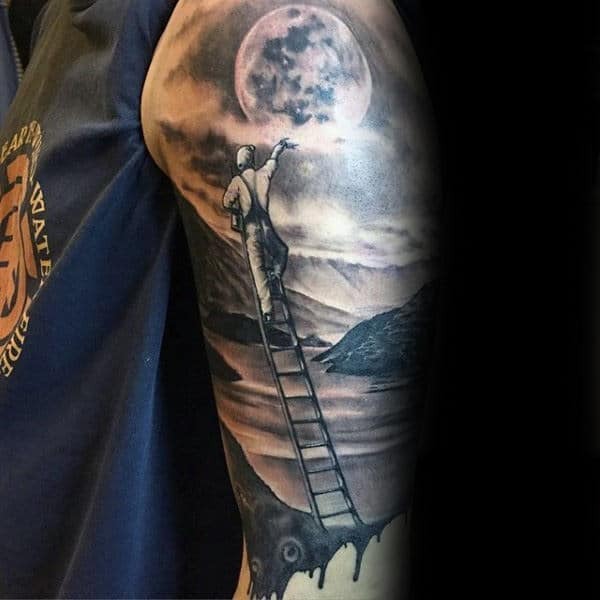 To reveal the totality of this inspirational medium, just enjoy the captivating view with our dynamic collection of unbelievably detailed landscape tattoos.